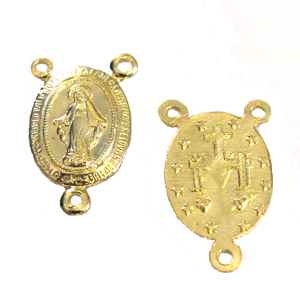 14kt Gold-Filled Rosary Station - Miraculous Medal. Measures approximately 12mm x 9mm. Priced per piece.